GeekVape Tsunami Pro RDA comes with 25mm diameter, and it has a large build deck. It features wide heatproof drip tip & 510 drip tip adapter. Geekvape Tsunami RDA upgrade version - GeekVape Tsunami Pro RDA. It is 25mm diameter and can fit for plenty of mods. Large build decks allow large coils to be built easily. 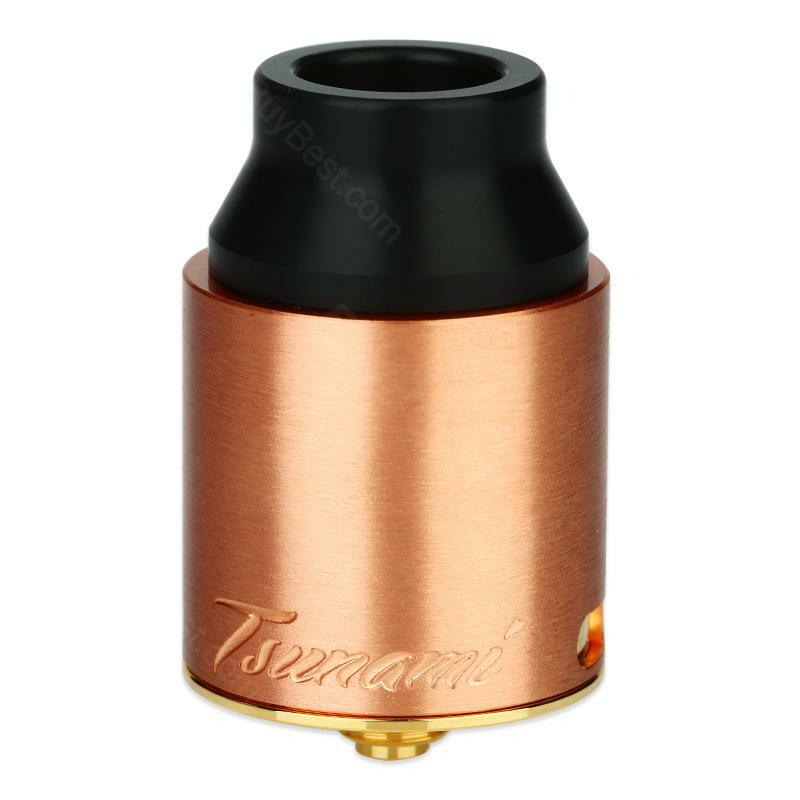 Tsunami Pro RDA use adjustable airflow in both single coil and dual coil setup, optimize the position of airflow hole to eliminate the damage to the silicone ring, in this way, the leakage issues rarely happens. And it has 510 drip tip adapter and wide heatproof drip tip. 3 colors will surely satisfy you. Color: Black, Silver, Copper, Cracking Gold, Painting Gold. 2.Rebuildables are for experts, not for average or beginner vapers with no knowledge of how to rebuild atomizers. The GeekVape Tsunami Pro RDA sells crazily in our village. Brilliant RDA, so huge cloud. My first purchase here at buybest. Good price, nice service and authentic product. I recommend this shop. Geekvape has all those nice RDAs. Keep at it! Loved my original Tsunami, and wanted to check this Tsunami pro out. Not bad at all. My friend bought this Tsunami Pro and he loves it. So I wanted to check it out. Great RDA.